﻿ Pension Freiraum, Berlin | FROM $69 - SAVE ON AGODA! Have a question for Pension Freiraum? 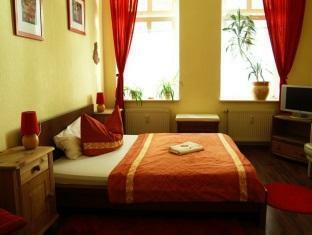 Renovated in 2010, the Pension Freiraum guarantees guests a pleasant stay whether in Berlin for business or pleasure. The hotel is not too far from the city center: just 3.0 Km away, and it normally takes about 25 minutes to reach the airport. A haven of rest and relaxation, the hotel will offer total renewal just steps away from the city's numerous attractions such as Joachim Rongs Galerie fuer Moderne Kunst, Max-Schmeling-Halle, Gethsemanekirche Church. 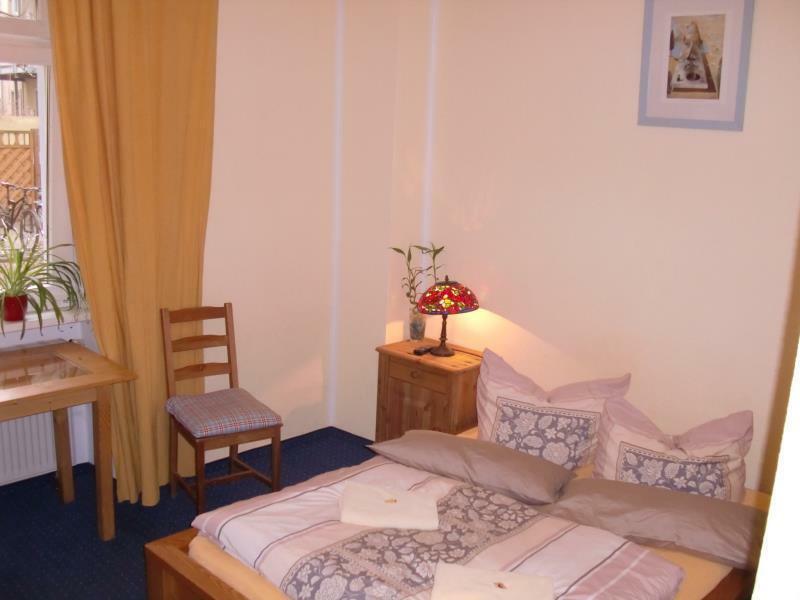 At Pension Freiraum, every effort is made to make guests feel comfortable. To do so, the hotel provides the best in services and amenities. 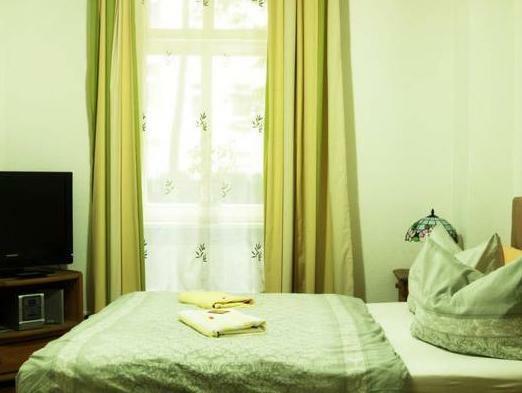 The hotel offers access to a vast array of services, including free Wi-Fi in all rooms, daily housekeeping, taxi service, Wi-Fi in public areas, car park. Pension Freiraum is home to 13 bedrooms. All are tastefully furnished and many even provide such comforts as television LCD/plasma screen, linens, towels, umbrella, closet. Besides, the hotel's host of recreational offerings ensures you have plenty to do during your stay. Enjoy unparalleled services and a truly prestigious address at the Pension Freiraum. Very good stay but the third bed was a fold out sofa that was not very comfortable. Nice breakfast, staff and location. We hade a nice stay at this hotel. The location was very good, the breakfast buffet nice and the staff were always friendly. The room was nothing special but it was kind of cozy. We would definitely come back some other time! the location is not far and convenient to airport, and subway, although not that downtown, still convenient for shopping and public transportation. 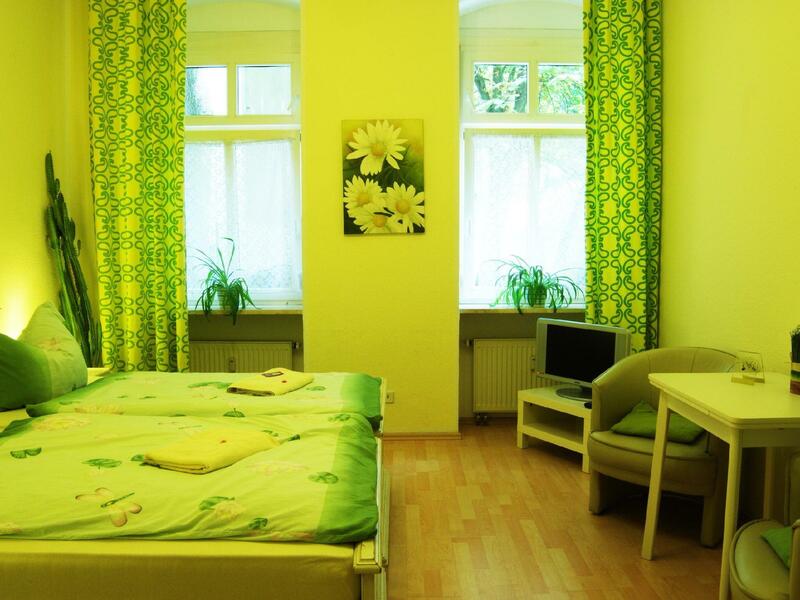 The room was large and clean, staff friendly and attentive and the hotel was right in the middle of Berlin's trendiest district with the best cafes, bars, restaurant and indy shops. Hotel was not informed about my stay through service provider. Hotel helped me very much to deal with the service provider to find another location and directly reconfirmed with them. 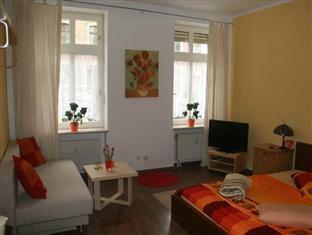 The room we had was lovely and very comfortable, with a small kitchen, good shower and beautiful windows. There's WiFi so you could be onlinw while in the room. It's actually an apartment inside an apartment building, where you have your independence. The restaurant is fun and the staff's very nice and helpful. It's a minute walk from the tram and 5 minutes from the subway. a beautiful area, full of restaurants and coffee shops. The room is smaller than it looked in the picture. The wifi signal is strong only in the reception area; but it doesn't work when I go into the room and the receptionists didn't do anything about it when I gave comments. This is just a few minutes' walk from the S-bahn station to goes straight to/from Schoeneberg airport. Room was quite large,quiet and clean. Absolutely hassle-free checkin/checkout; we didn't have to show our passports, hotel voucher or even say who we were - the manager was expecting us and handed us the room key within 20 seconds of our arrival. Can highly recommend this place. Very well connected and good location in town! Price is very convenient according what you get! Good breakfast and nice staff! Rooms are simple but clean and the heaters are working very good during this time of the year that is very cold! I will recommend to people which is not looking for the typical business hotels! It has a nice touch! 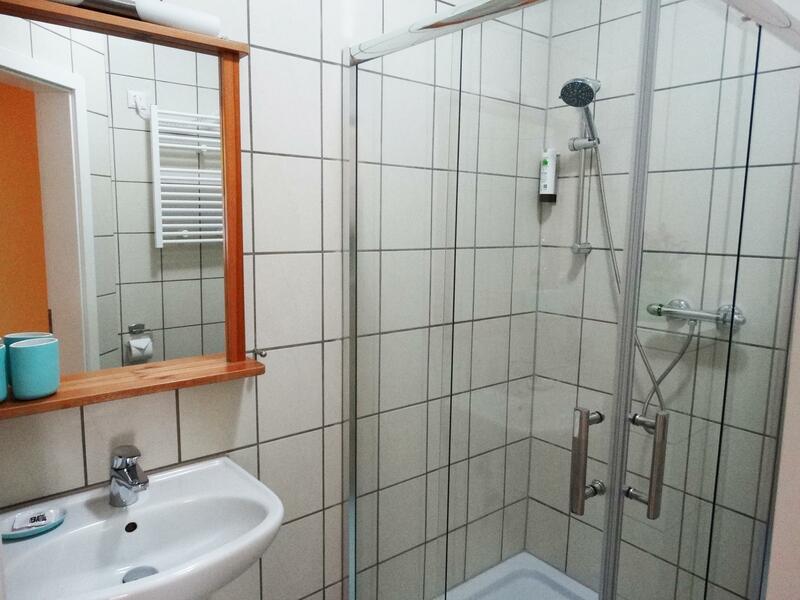 sauberes Zimmer und Bettinhalt, überraschend mit Kleinküche vollständig mt Geräten und Geschirr ausgerüstet inklusive Basisgewürze, Grünpflanzen. guter Anschluss an Metro, nahe am Zentrum, nahe an der ehemaligen Mauer mit Gedenkstätte und neuen Aktivitäten wie der Mauerpark und Flohmarkt, nahe Kulturzentren wie Kulturbrauerei, hübsche Bistros zum Morgenessen und Restaurants mit frischen und günstigem Essen. Gästezimmer, angeschlossen an Restaurant, in "normalem" Wohnhaus. Mit eher ramschigen Möbeln vollgestellt verbreitet es den Charme einer 70er Jahre-Unterkunft. Der Selbstversorgungsaspekt sollte nicht überschätzt werden, es gibt ein Spülbecken und ziemlich mitgenommenes Geschirr und Besteck, das man lieber nicht benutzen möchte. Wir haben uns wie zu Hause gefühlt! Wunderschöne Farben und geschmackvolle Einrichtung mit dem besonderen Händchen für´s Detail. Die kleine Wohnung war sehr bequem und durch die kleine Küche konnte man sich auch das Frühstück auch im Zimmer bereiten. Wobei das Restaurant "Freiraum" sehr gute Küche und einen Klasse Brunch am Sonntag bietet. Sehr zu empfehlen, wenn man Berlin erkunden möchte. Das Szene-Viertel Prenzlauer Berg liegt einem "zu Füßen"
Wir waren ein Wochenende in Berln unterwegs, zum Sightseeing, und suchten eine günstige Unterkunft, mit guter Lage. Kategorie war "Budget". Daher waren wir auch zufrieden. Es gab eine Kochgelegenheit (eine kleine Küchenzeile). Das Frühstück war sehr gut und die Bedienung auch sehr freundlich. Im großen und ganzen lässt sich der Freiraum empfehlen. Für uns ist eher die Überlegung, beim nächsten Mal ein "upgrade" zu nehmen und aus der Budget-Kategorie raus zu gehen. 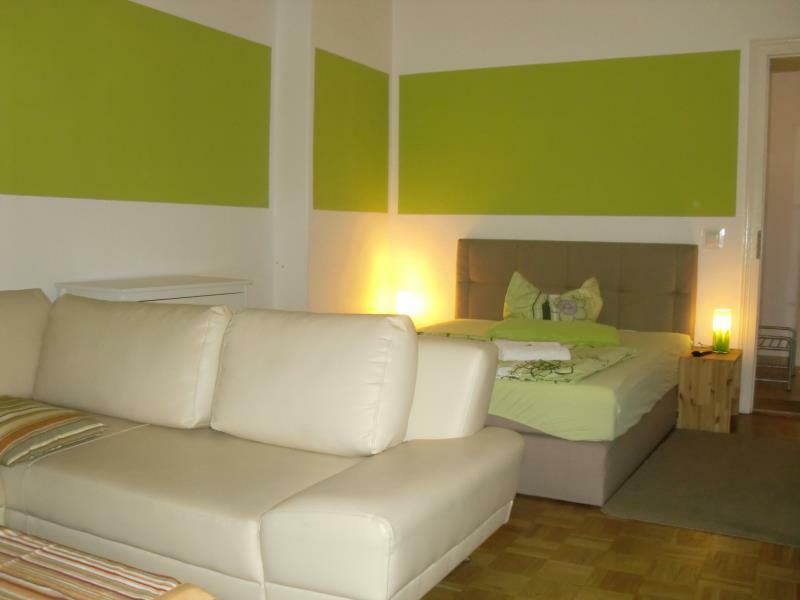 + Gute Lage + schöne Einrichtung + gut ausgestattet: TV, DVD-Player, Radio, Toaster, Kaffeemaschine, Kühlschrank... + Problemloser Check-In / Check-Out - Licht ging im Zimmerflur nicht Frühstück haben wir nicht gebucht. Ligging, winkels en uitgaansgelegenheden in de omgeving, goede faciliteiten in het appartement, attente eigenaren/personeel. prettig verblijf gehad, ideale uitvalsbasis voor prenzlauerberg, vlakbij u-bahn lijn 2 (eberswalderstraße of schönhauser allee), supermarkt vlakbij (kaiser's), snel wifi bij prijs inbegrepen, fijne bedden en beddengoed, zelfs in badjassen was voorzien.